This folding perching stool is great for ironing, food preparation and DIY tasks. It stores away easily folded. Height adjustable. Free UK Delivery. You can take the weight off your feet with this useful foldaway perching stool. 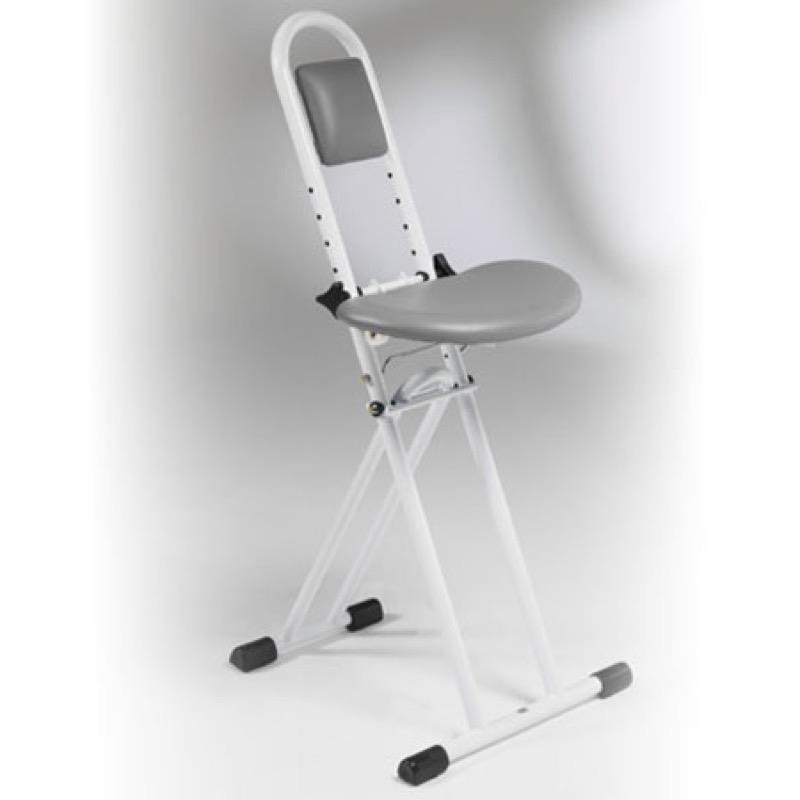 Ideal for ironing, food preparation and other DIY tasks, the adjustment features allow you to set the seat to be used to sit or stand with some support at a variety of heights. a built-in backrest provides additional comfort. It folds for easy storage.